The elephant in the room is now visible to everyone. All the developments of the past years, from the extreme violence and cynicism of the “memoranda of understanding” imposed upon Greece to the decision of the British referendum in favour of Brexit, point to the same direction: the deep crisis of European Integration. It was supposed to be the most advanced example of economic and political integration and the first successful introduction of a single currency in such a broad area. It presented itself as a paragon of stability and human rights. Yet the reality is very different. Faced with the global capitalist crisis of 2007-8 not only did the EU not find a means to react and protect European economies from the fall-out of the crisis, but the embedded austerity of the European project just made things worse. The global crisis was combined with the accentuated contradictions and structural inequality of the Eurozone to create a true recipe for destruction, leading to extreme social crisis in the European South and intensifying recession tendencies in the global economy. Faced with the debt-crisis of most European countries, with Greece as the most notable case, the EU answered with increased indebtedness and using the debt crisis as the excuse for the biggest experiment in neoliberal social engineering of past decades, an attempt to dismantle social rights won with the struggles of decades. Faced with increased American aggression and attempts toward a “New Cold War,” exemplified in aggressive geopolitical moves from the part of American imperialism, the EU has been even more immersed in the politics of “Euro-Atlanticism” such as sanctions against Russia. Faced with the refugee crisis, the EU has opted for the murderous policies of “Fortress Europe,” making the tragedy even worse, with thousands of dead refugees and migrants in the Mediterranean showing the true and very ugly face of Europe. Faced with the new conditions in Europe and the fact that important segments of the working classes in European countries are not of European origin, the answer of the EU and European governments has been a return to the darkest traditions of colonialism and racism, leading to the current wave of anti-immigrant, anti-refugee policies and the increasing ideological climate of intolerance, chauvinism and islamophobia. All these attest to the deep crisis of the European project. However, at the same time we know very well the class forces that will continue to support it. Despite the fact that European policies have not managed to reverse austerity and the economic crisis, the bourgeoisies are happy with the neoliberal discipline imposed upon societies by means of the euro and rules of European economic governance. Even the bourgeoisies of the lesser developed countries accept these difficulties as the price to pay for the advantages of reduced labour cost, mass privatization, flexible labour and anti-union laws. 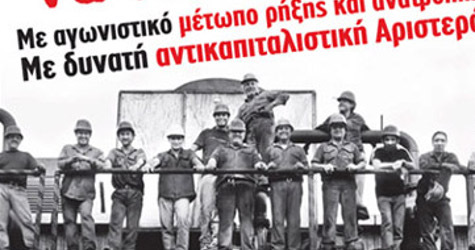 European corporations, especially of the European centre take advantage of the unified market but also of the fact that they can invest in those countries that are being turned into “special economic zones,” without labour rights, social or environmental protection, Greece being the example that easily comes to mind. Therefore, it is more than obvious that the only possible progressive, radical, socialist answer is a strategy for exit from the euro and the EU. Some years ago, perhaps there was some excuse for those that still had illusions about the possibility to change the EU from within or to suggest plans for ‘another’ EU, with ‘another’ euro and ‘another’ ECB. 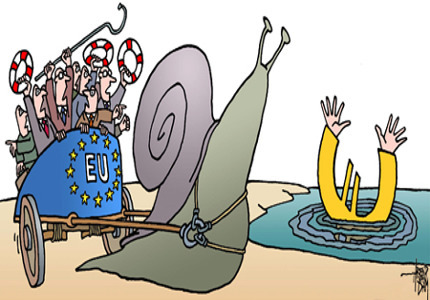 After the crisis and in particular after the Greek experience, we all know that this is impossible. The EU cannot be reformed. It was never designed to be reformed. It was from the beginning an attempt toward safeguarding capitalist social relations and accumulation, by means of reduced sovereignty and the embedded neoliberalism of the euro. Therefore, the only left strategy is that of exit. Left Europeanism has been and still is the high point of the defeat of the Left in Europe, the most visible result of bourgeois ideological and political hegemony inside the Left. 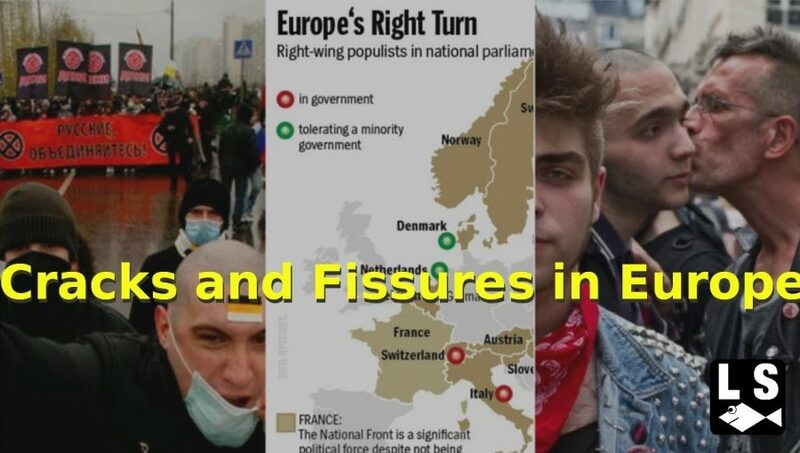 Some people on the Left still say ‘yes, but what about the Far-Right?’ I will say it in very simple terms: the rise of the Far-Right with its ersatz “Euroscepticism” has been the result of the strategic deficits of the Left and its inability to be the leading political force in the struggle against the EU, ceding political and ideological space to the reactionary, xenophobic and deeply systemic forces of the Far Right, political forces who in reality actually support the EU. It was the Left that let a position, historically belonging to the Left, namely the refusal of European Integration, to be hijacked by the Far-Right. 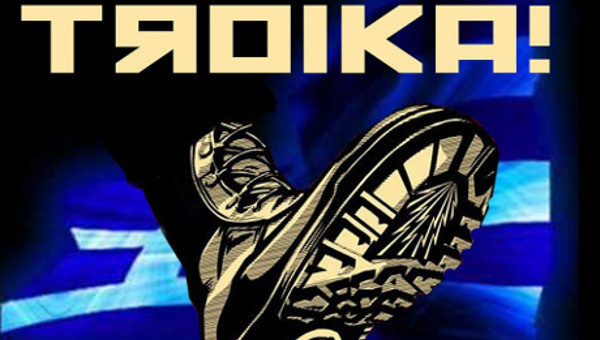 Moreover, if one wants to realize where does left Europeanism lead to, the answer is very simple: Tsipras. The limit of left Europeanism is capitulation to the EU, its austerity and capitalist restructuring. So, what is important? The task we face is exactly to create a new relation of forces inside the European Left, in favour of a strategy of exit, by opening up the debate and coordinating all the forces that are in favour of ‘Left exit’, both at the national and at the European level. And yes this is something that has to be done by political forces and movements that refer to the Left, that refer to the working class movement, that have an anticapitalist and anti-imperialist line, that have a socialist perspective, that want the exit to be part of a strategy for social emancipation, that want to create new “historical blocs” of the forces of labour, of knowledge and of culture under the hegemony of the working class. Today, it would be a great error to say that we have to move beyond the distinction between Right and Left. No, the divide is active. Not, in the sense of ‘self-proclaimed’ identity, as parties like Syriza do, but in the sense of the actual divide between the working class and in general the subaltern classes and the capitalists. Saying that the Right-Left divide is irrelevant, only helps the Far Right which uses the same rhetoric. We must reclaim the very notion of the Left and make it again synonymous with struggle, justice and emancipation. To do this we must say that yes sovereignty matters and that reduced sovereignty and transfer of authority from nation-states to transnational organizations such as the EU has been part of the capitalist and neoliberal attack upon societies. When we talk about sovereignty we talk about democracy. This why we must insist on the necessary reclaiming of popular sovereignty as a strategic goal of the Left. And popular sovereignty is not just simply about institutional arrangement, nor does it imply some naive belief in bourgeois parliamentarism. It has to do with democracy as ability of the subaltern to impose their collective will and change the course of history of a certain historical formation. Popular sovereignty in this sense has to do with power and the social bloc that exercises it. European Integration is not the perverse form of a cosmopolitanism or internationalism; it is the actual nationalism of capital. The euro is the nationalism of capital. The recuperation of monetary sovereignty that represents a form of popular internationalism. Popular sovereignty has nothing to do with nationalism or social-chauvinism. In contrast, we need to rethink the very notion of the people as the alliance and unity and common struggle of the subaltern, regardless of ethnicity or religion. This new conceptualization of the people can be much more inclusive in reality and is our answer to the reactionary investment of the Far Right upon imaginary “national identities” and myths of “common origin” and “blood.” Our conception of the people as a collective subject in struggle, as alliance in struggle, as unity along class lines and political strategies, can create new forms of belonging that have nothing to do with nationalism and racism but can actually offer societies a new and emancipatory form of unity and ‘coherence’. To do this we also need to articulate the strategy for rupture with a transition program, as an alternative narrative for societies. We need to rethink the transition program as a strategy of reclaiming sovereignty and democratic control against the Eurozone, the EU and in general the systemic violence of internationalized capital, and at the same time as initiating a profound process of social transformation, based upon public ownership, self-management and democratic and participatory planning, as a process of experimentation, based upon the collective ingenuity of a people in struggle, in a radical and social horizon. Exiting the Euro and the EU should not be considered just a step toward a more favourable macro-economic condition; the pervasive effects of European Integration and their devastating results upon the productive base of society make a socialist orientation a necessity and not a luxury, in contrast to the traditional reformism and economism of the Left. In this sense, it is imperative to rethink socialism beyond both social-democracy and bureaucratic state socialism, that is to rethink it as a transition process, full of conflicts and struggles in order to expand the ‘traces of communism’ already emerging in collective aspirations and demands for a social organization freed of the rule of capital. We need to go beyond any conception of the State as a neutral instrument. Contemporary capitalist states, especially within processes of integration such as the EU that are based upon ceding aspects of sovereignty, bear the marks of the most aggressive neoliberal strategies. A new form of radical left governance must begin with profound transformations of the state, by means of a Constituent Process, in order to facilitate new forms of democracy, worker’s control and restrictions upon the activities of capital. At the same time, it has to be based upon the strength of the autonomous movements that have to be independent of the State and always pressing for more radical changes. Otherwise, the neoliberal and capitalist logic already inscribed in the material configuration of the state and the institutional networks and decision processes inside it will take precedent. This article first appeared on his blog The Future Lasts a Long Time.